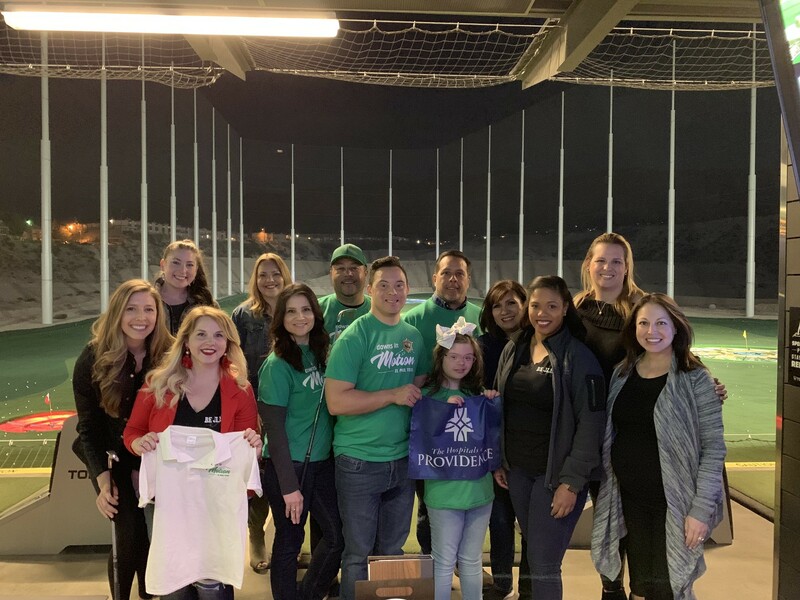 The Provisional Project is a collaborative effort of the Junior League of El Paso’s newest members know as the Provisional Class. It’s purpose is to teach the Provisional Class leadership, planning, cooperation and voluntarism. The project must have a charitable purpose and may not be religious or political in nature. The Provisional class of 2018-2019 had two tasks for their Provisional Project. The first was to collect donated items (golf bags, clubs, woods, irons, etc.) in order to help supply a fairly new organization “Downs in Motion” with their mission and vision of teaching their thirteen students to golf as a summer activity. 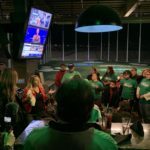 Once these items were collected, there would be an event at the local Top Golf to allow the students to jump start their passion for golf, as well as allow a place for the items to be presented. Second, they were to purchase a domain name and create a website for the up-and-coming organization to showcase their activities and promote themselves. In addition, they were interested in starting up a social media presence. The Class was able to not only meet their goals, but managed to exceed them by almost three times. The initial goal for complete sets of golf clubs was thirteen to match the number of students; however, the number of students ended up increasing to 25 during the project. 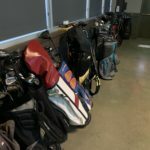 Spurred by this new challenge, the Class was able to collect and donate 46 full sets of golf clubs (bags included), as well a variety of miscellaneous clubs, balls, gloves, and tees. One donor, JJ Childress of Proper Printshop, even contributed personalized golf polos for all of the students with the “Downs in Motion” logo embroidered on them. The presentation of the golf equipment was a magical night. 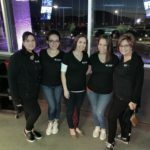 Top Golf was filled with excitement and curiosity. Please visit https://downsinmotion.org/ to view the organization and the Provisionals’ hard work on their website. They also helped to create a Facebook page, a Twitter account, an Instagram account, and a Snapchat for the organization. Now, they would have the capabilities to make their presence known through multiple channels. The Provisional Class of 2018-2019 not only had an amazing experience learning and working together, but were happy to be given the chance to give back to such a wonderful organization and community. 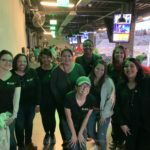 Through the donations, event, and website/social media creation, they truly helped “Downs in Motion” Swing into Motion. A special thank you to our friends, families, Junior League members, and community who helped with this special project.